I decided to give myself a treat on the next leg of the journey and I stayed at the most adorable Bed and Breakfast for a night. 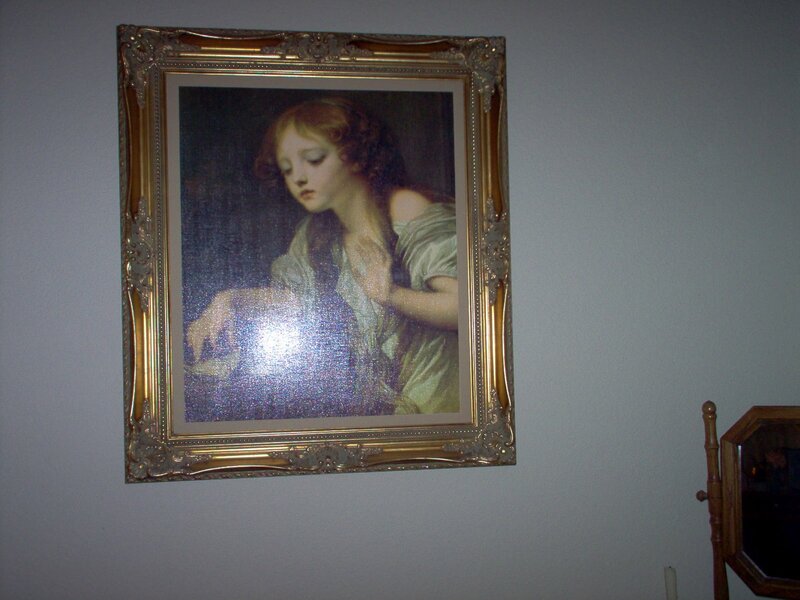 Of course, I wound up in the room that had the painting of a girl looking at a dead bird (sorry about the glare, but there really is a dead bird behind the glare). 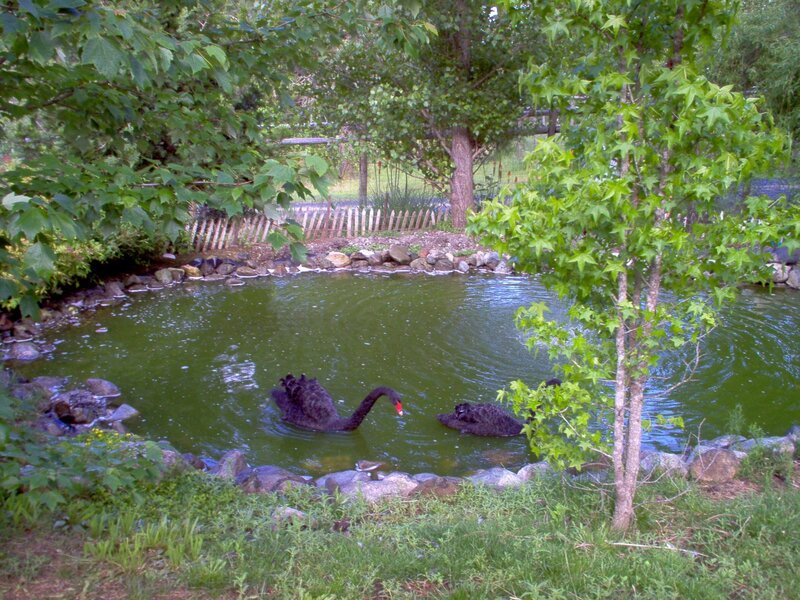 They had 2 pet black swans at the manor. I was told that they came from Australia. I had to say when they complained to get out of their enclosure first thing in the morning, I learned that they are quite loud! But, they are most beautiful! 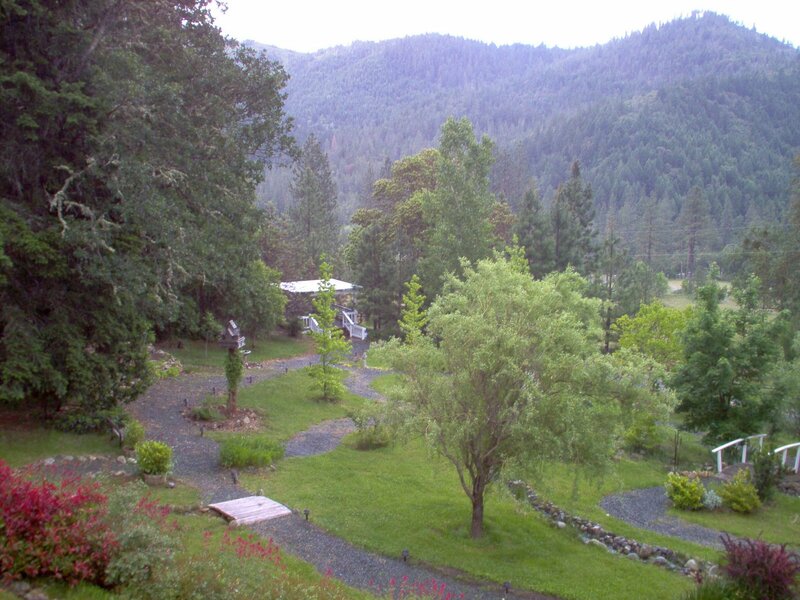 And this was the view from the patio! And I must say that the breakfast they served me was one of the best breakfasts I have ever had! Beware swans during nesting time.Hell hath no fury tike a swan family threatened!